Surprisingly good tyre for the price. Doesn't really get great reviews in some tyre tests which is strange. Great dry grip,giving the Ceed a much needed improvement with it's turn-in. Not bad wet grip although standing water can cause them a few problems. 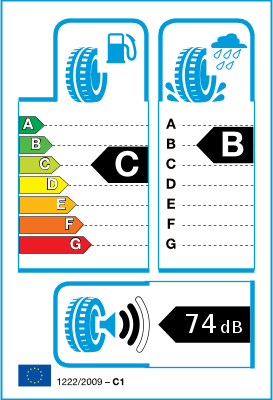 They are rated an 'f' for fuel economy if memory serves but average m.p.g has only dropped by 2/3 compared to a 'c' rated tyre previously ran. Worth the drop for far superior grip. Wearing extremely well,especially resistant to under steer which knocks the outside edge off the nearside tyre. Not used them in the winter weather(I fit winter tyres)but I would guess they won't be the best judging by the tread patten alone. Cheaper than discontinued Michelin PE2 but very similar performance. Better steering feel than Pirelli P Zero Nero. Much better value than Michelin PS3. 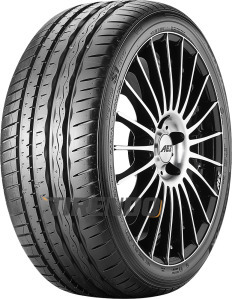 The performance and grip is better than expected especially in wet conditions, where the tyre was not highly rated.